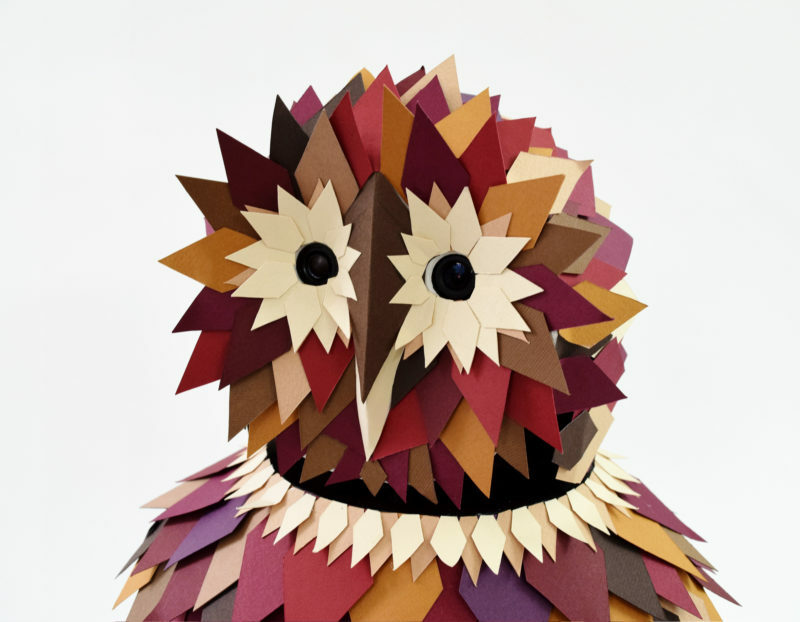 A colour tracking owl created in collaboration with Thomas Forsyth for the Geheim exhibition at MIK Ludwigsburg. 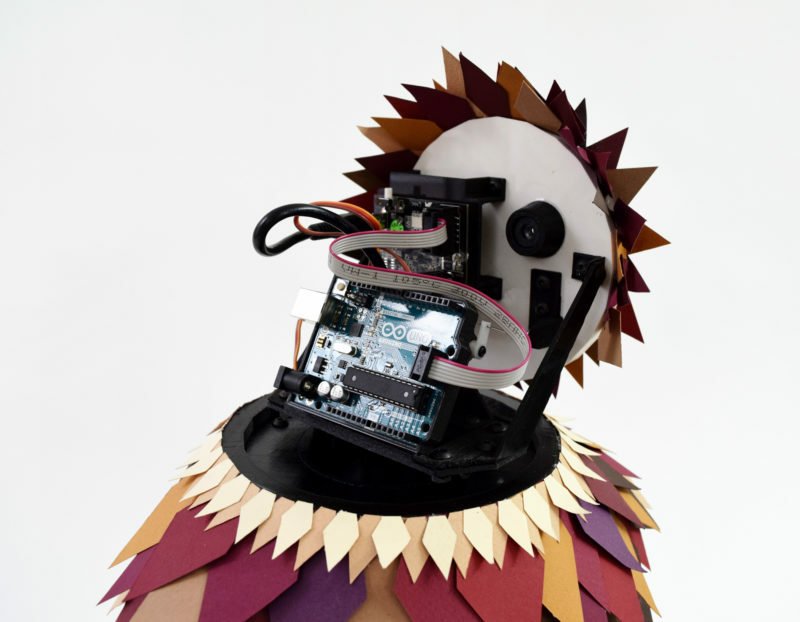 The owl was custom designed by Tom using 3D printed parts mixed with some new arduino software which can be programmed to track a specific colour. 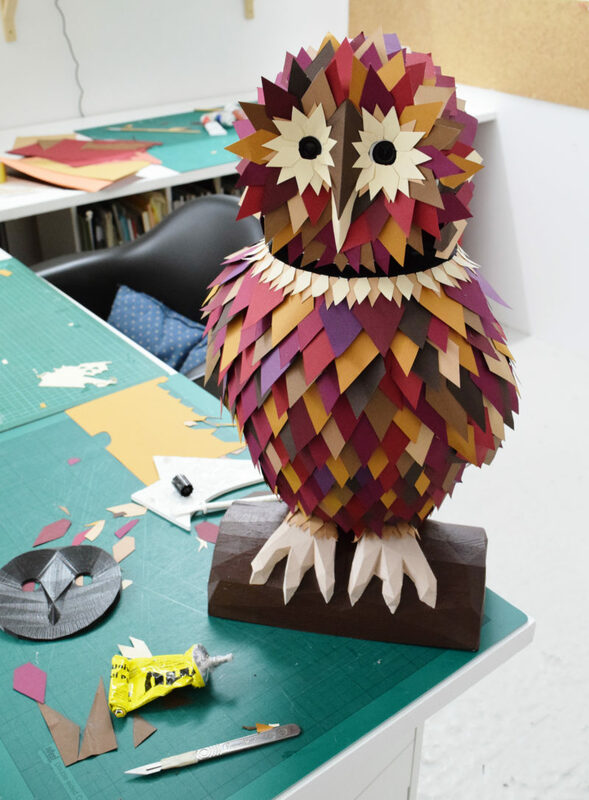 We then decorated the owl with an autumnal array of hand-cut paper feathers.